No matter how our hens are housed we take pride in providing them with top-quality care. The welfare of our hens is integral to our mission and every employee is trained in and is to comply with our animal care standards. 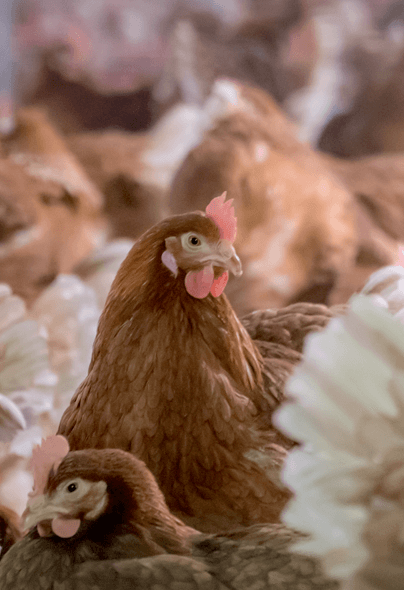 This policy is science-based and ensures that the hens are handled diligently with access to shelter, feed, water and fresh air at all times. By raising healthy hens there is no need to use antibiotics, stimulants or hormones. Whether raised in our conventional system with enclosures or our free-roaming cage free barns our humane practices are 3rd party verified – UEP Certified or Certified Humane, respectively.